Its been ten years since the invasion of Mehrunes Dagon and the death of Martin Septim. The land of Tamriel is in a state of semi peace, all the people still rejoicing that it is all over. Kvatch has been rebuilt and everything has went back to normal in the city. Trade has started up between them and Anvil once again and lif is flourishing for the different peoples of the land. Not everything is as it should be though, dark currents stirring underneath the eye of mere mortals. A new emperor has been found, a long, lost relative of the Septims. The Dragon Fires haven't been lit yet, as he hasn't been crowned Emperor. He serves as Tamriels ruler at the moment, but they haven't got around to lighting the Dragon Fires for one reason; the man doesn't know how. What will the people of Tamriel do? They have a leader but he doesn't know how to light the Dragon Fires. There is no protection from the planes of Oblivion. Underneath all of this, in the land of Shivering Isles, a new ruler has also been crowned. Galad, the man who killed Sheogorath, has become the new ruler of Shivering Isles. The land is in a reign of chaos, as he doesn't know what to do yet. He has been ruling for five years and still he has no idea what to do with the land. There is also a new Prince, the sinister Amatsu. This Daedric prince is the prince of darkness, with his realm is made out of the darkness itself of his very power. He sometimes lurks mysteriously in the shadows of Tamriel, blessing thieves, rogues, and any stealthy character he comes upon. Revered in legends as the greatest assassin ever known to ascend into Daedric Prince. With these new events happening, what will happen to Tamriel now? What will the future come to and what will it bring? Find out in the The Elder Scrolls RP. This is a my site, also led by my friend. If you like Oblivion, come join! If not, join anyways! "I don't care if you're a human, a Shinigami or an Arrancar! I'll crush anybody who looks down on me! 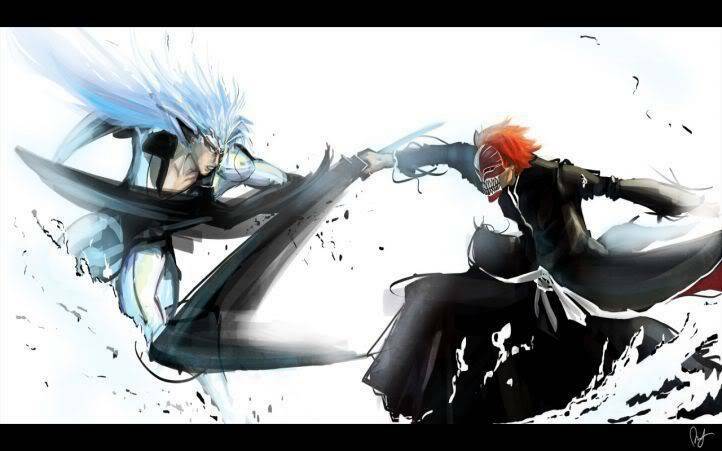 And you, Kurosaki....will be the first to go!" "I know. Im not alone... Not anymore."